Fancy a quick game of cards? Studies show cognitive benefits to play and card games teach children new strategies for using mathematical information, categorising patterns, sequencing and sorting. Last but not least, this is numeracy practice the whole family will enjoy (though things might get a bit competitive… beware!). Kate Yelland asked maths teachers and experts why sitting down with a pack of cards and a primary-school child is definitely playing your cards right. As parents we all know if you can turn learning into a game, you’re onto a winner. And you can often further your child’s skills without them even knowing! 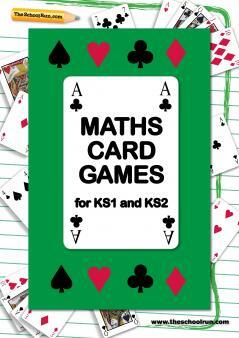 Cheap, simple and no doubt tucked at the back of one of your drawers, you might be surprised just how much a pack of playing cards can help give your child’s maths a boost. Here are 10 reasons why. Ready to put the theory into practice? Start with Number Bond Snap, perfect for Y1 and Y2 children learning their number bonds to 10 and 20. Our subscriber learning pack, Maths card games for KS1 and KS2, offers 5 more great games to help children understand and work with probability and fractions and boost their mental maths skills.